Rootenanny music festival brings the talent of large outdoor music events to the Rocky Top Preserve, an intimately Up North setting in Ellsworth, Michigan. Celebrating its 10th year, the Northern Michigan music and art event begins on Thursday, July 31st and ends Sunday, August 3rd. The festival is a weekend-long extravaganza for music-loving campers. While the tunes don’t start until Friday afternoon, VIPs can set up their camp, listen to the sound check and mingle with artists on Thursday. Entrance for general admission ticket holders begins on Friday at noon. For pricing and ticket details, please visit MyNorthTickets.com. Food and art vendors will be on site to complement the smorgasbord of music offerings. For more information and to purchase tickets, please visit MyNorthTickets.com. 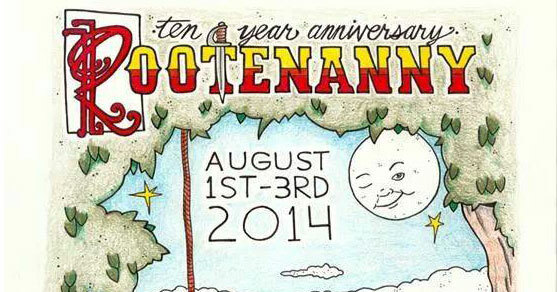 For a complete lineup of Rootenanny performers, please visit Facebook.com/Rootenanny.